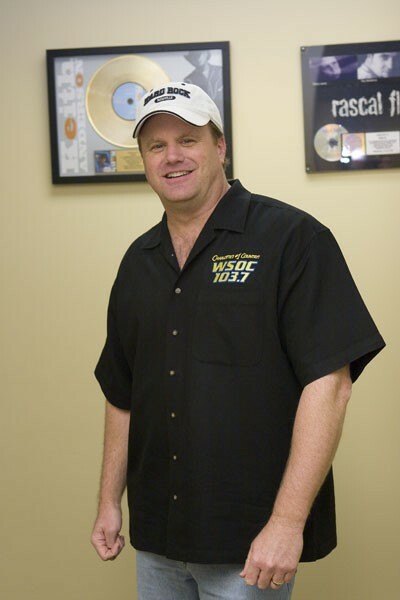 Rob Tanner is the big lug manning the mic during WSOC FM 103.7's Tanner in the Morning, his popular program that, despite all efforts to hide them under urban sophistication, appeals to Charlotte's country-fried roots. Tanner hails from Cleveland, Ohio, but made the unique journey of going first to Louisiana right out of college then traveling east to Florida and back north, landing here. "Country radio tends to just walk right down the middle of the road. And from what I've always been told, if you walk down the middle of the road, you stand a better chance of getting run over," Tanner says. "I like to tell people what I think. They don't always have to agree with what I'm saying. And I'm glad to put them on the air, too! Discussion, you know -- we're allowed to have it." "I wanted to be in television sports [but] I couldn't get a job. I really loved sports. My uncle coached in the NBA for a short time. I loved playing basketball [and] really liked doing sports casting." "I love Charlotte. The people here are just so nice. I [brought] my sister-in-law to North Carolina from central Florida and she said, 'I can't get over people just want to strike up a conversation with you wherever you're at.'" According to Tanner, country music seems to be very well received in Southern states. "I think I'm just a redneck at heart."